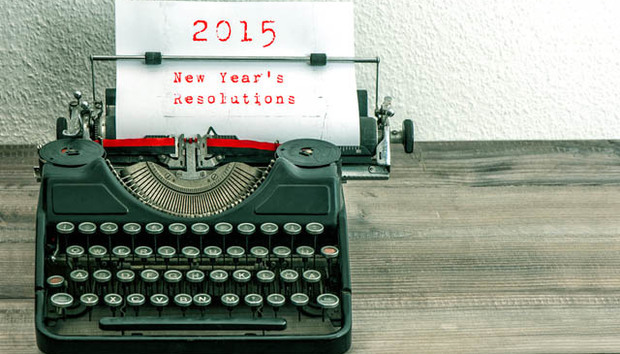 I'm not sure how many resolutions one is allowed, still less how many can be IT-related. But since it would be dull for you to read about my good intentions for eating healthily, exercising more and generally staving off the Grim Reaper for as long as possible, here are six tech-related resolutions. It started innocently enough, with the Panasonic KX-E700m word-processor that I bought for the IDG Connect "1990 tech for a day" feature. That wasn't even a real computer, though it was certainly technology in the broadest sense. And, with a new floppy drive belt and a thorough clean, it's working perfectly. Trouble is it's been joined by a 1983 Panasonic Sr Partner portable XT clone (on which I'm writing this feature), a 1986 Commodore PC10-III 8088, a no-name 486 DX/33 from 1992 and a Pentium 166, the latter acting as the bridge to glue them all together thanks to three floppy drives and a USB hub. And that's ignoring the Casio PB-110 pocket computers, various Psion PDAs, some of AlphaSmart's finest writing tools... and an Acorn Electron. This one is related to number 1. In my research for 1990 Day and discussions with people of various ages, it transpires that I'm not the only one collecting or using old technology. Far from it. Whether it's secret service spies or essay-writing students, it seems that significant numbers of people are using older technology to do their work quietly*, privately and without distraction. There are two possibilities here: the trend will continue, as a quiet backlash against the attention-destroying distraction of today's internet deluge; or it's just a load of transient 'retro' nostalgia that will die out in a few years' time. I don't know which way it'll go. There is a tangible benefit to me in writing this way, with nothing to click on: this machine doesn't even have a mouse. I believe the same sentiment is true for other users of old tech. But I'll be watching carefully. It's one thing to enjoy a spot of nostalgia; it's quite another to be left behind in a rapidly advancing technological arms race. *Though the twin fans and antique hard drive in this Panasonic machine sound like a passenger jet during take-off. I mentioned this in a Friday Rant a few months ago: I want to give something to the next generation by teaching them how to control computers, not just use them. I've been talking to my daughters' school teachers, who are very keen on the idea, and the first after-school programming lesson should start in February, after the long New Zealand summer holidays. I'm pleased to be able to help the next generation make proper use of technology. And also horrified at the thought of standing up in front of a room full of cynical eight-year-olds who will mercilessly expose any gaps in my knowledge. I have a degree in Physics with Astrophysics, which I obtained precisely because it's useless but sounds impressive. I've forgotten nearly everything I learned at university, but I can still recall the Copenhagen explanation of quantum theory, and the 'many worlds' interpretation that states we create a new universe at every branching decision point. But now that researchers are close to building practical quantum computers, the application of my theoretical knowledge to this brave new world fails me. Will all cryptography be rendered useless as quantum computers instantaneously factorise massive prime numbers (using... er... the atoms in parallel universes for their calculations)? Will all communication be rendered utterly secure and, simultaneously, instantly crackable? Will banking as we know it collapse? Or will bad things happen? I don't know, and I'm not sure anybody does for sure. Something else to watch carefully. Living in rural New Zealand can be a trial when it comes to connecting to the rest of the world, which may have some bearing on my use of old technology. The strong winds again blew down the telephone lines last week; not that it matters, since those lines are incapable of carrying anything beyond dial-up speeds. I use a mobile broadband dongle, which is expensive and slow by 21st century standards. So in 2015 either I'll ask a friend to string a 3km fibre-optic cable from his unlimited high-speed broadband connection in town, or I'll shell out for a long-range wireless connection, which will mean having a CB-radio-style giant antenna on the roof of the house. ... It's a thriving, bohemian, quirky tech hub, with proper internet and considerably fewer sheep. So why not?